A few ball pythons up for sale here. 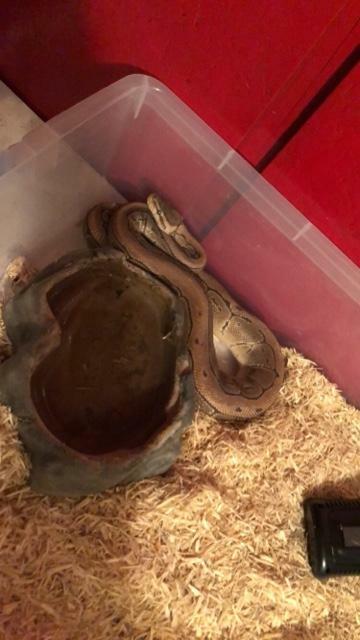 1st picture is a basic ball python her name is Ayana and I have had her a little over a year. Still fairly small she is approximately 2 years old. 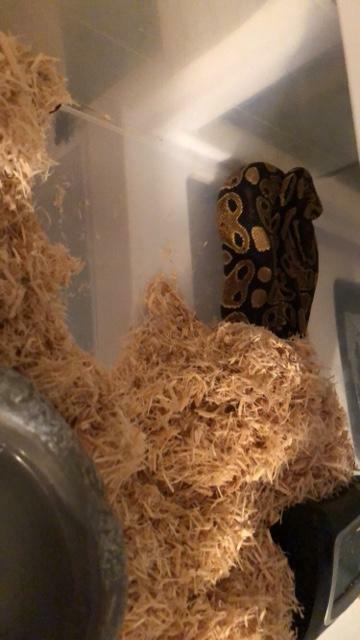 2nd picture is a spider ball python and his name is Parker also have had him a little over a year and a little over 2 years old. 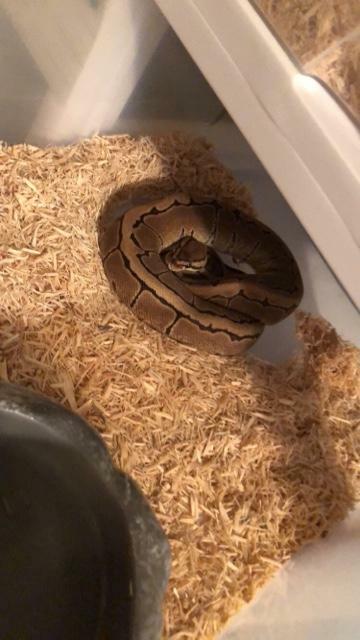 3rd picture is my pinstripe ball python and his name is Stryker (Colonel Stryker from X-men) have had him about a year now and is maybe 4-5 years old. 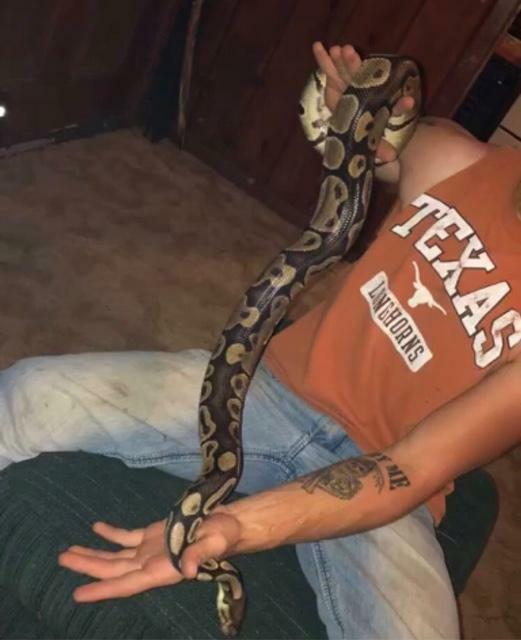 4th picture is my girlfriends basic ball python jasmine and she is 4 foot 4 inches and about 5lbs. Several years old. All snakes will have cages, water dishes, heat pads and hygrometer/thermometers. They all eat very well. And shed very well also. Pm me for prices on them or if you have questions. Will need to purchase substrate and distilled water pretty cheap at Walmart or even petco. All are fed every Sunday.